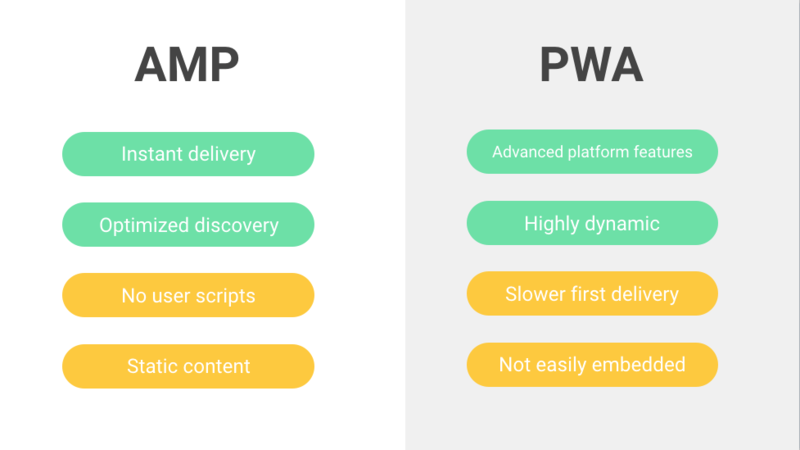 Home » Coding » PWA vs AMP: Which One Is The Best For You? In this modern age, the web is mainly driven by mobile searches and mobile-first indexing is an aspect that many streamline business owners can’t afford to neglect. It’s crucial for them to demonstrate their mobile web presence as well. In this prospect, business owners need to realize the best strategy for maintaining their existence on the mobile web. The two main terminologies to contemplate in this context are Progressive Web Apps (PWA) and Accelerated Mobile Pages (AMP), both of which we will be discussing in our present blog. Mobile-first indexing is the latest development as a result of Google’s continued efforts in making the web even more mobile-friendly and to observe the trends following the user-behavior on the web. Mobile-first indexing simply means that your website’s mobile version becomes the baseline for Google in their technique of determining rankings and also acts as a starting point in Google’s index. Using mobile-first indexing, you are certain to notice an upsurge in traffic to your site. However, with the introduction of mobile-first indexing, a lot of questions need to be answered: How does mobile-first indexing affect the average business owner? Is your site mobile-friendly? Which technique is to be chosen while implementing mobile-first indexing? We will be discussing all these in our present blog. Progressive Mobile Apps (PWA) are primarily, as the name indicates, Web Apps or a collection of Web Pages that offer a visual layout similar to that of a mobile app with rich navigation features. They make use of the latest features supported by almost all modern browsers and implement such technologies, design concepts and Web APIs that work together to offer the best mobile and web apps. Users can use PWAs to enhance their experience of mobile-app features and responsive functionalities in their web apps. For instance, a number of websites make use of PWAs to enhance their user experience and make use of the rich visual features that PWAs offer. When you access sites like Zomato.com or Flipkart.com from your mobile browser, the initial visual looks, and features of the site makes you feel like you have opened a mobile app, though you haven’t even opened the app and it’s just the PWA that the website is using. Local Connectivity: PWAs allow you to work offline or using poor networks as well. High Security: PWAs use https protocol for ensuring no spying and safe data transmissions. Swift Content Loading: PWAs allow your app to feature a quicker load time using App Shell functionality. Progressive: One of the most important aspects of PWAs is the cross-browser compatibility that they offer. Responsive: Progressive Web Apps work in compatibility with any desktop, tablet or mobile device. Bookmark Feature: Recent studies show that the number of users that tend to use apps requiring more clicks involved drops by 20%. Thus, users refrain from using apps with a lot of click hassle involved in the downloading procedure. Using PWAs, users aren’t required to download their favorite apps from the Play Store. 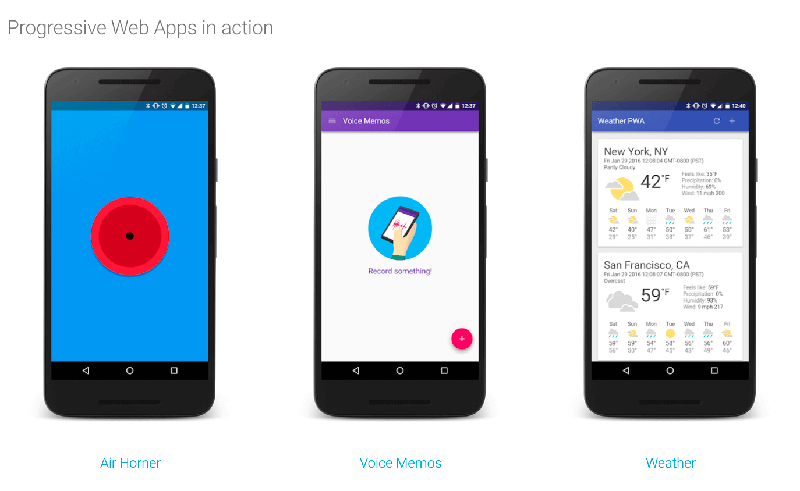 Instead, PWAs allow users to simply pin their desired apps to their home screen, thus providing convenience to users. Native Features: Progressive Web Apps offer smooth User Interfaces and hardware-accelerated 2d/3d Graphics using HTML5 Canvas feature. Other native features include clipboard access, full-screen launches, animations at 60 fps and an easy access to the file system in any browser. Supports use in offline mode as well. Quick loading of apps even in poor network qualities. Responsive layout and progressive apps. PWAs require a comparatively less development effort. Much cheaper than native apps. A few browsers not supported by PWAs. Not all mobile devices support the complete PWA software functionality. For instance, the notifications and shortcut features on home screen are not entirely supported on the IOS platform. Few call features such as SMS, voicemails, and making calls without Dialer dialog aren’t supported. Access to few hardware features like flashlight, magnetometer, proximity sensor, Ambient Light Sensor and Accelerometer etc. are not supported. A number of hardware features and functionalities are not supported. 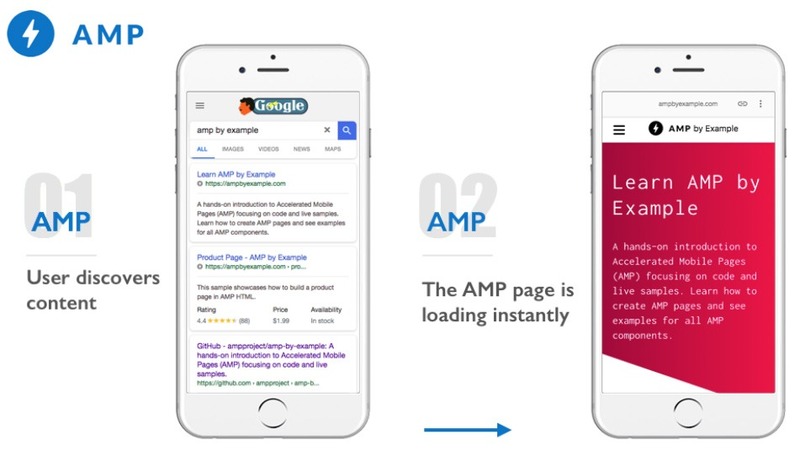 The core focus of AMP is on improving the overall browsing experience of a web page or website on mobile devices, mainly by enhancing and improving the page-load time and performance. Thus, AMP coding results in a web page with no fancy features and comprises of only the important information details desired by the user. It eradicates useless data from a web page in order to deliver the most crucial and informative content in the quickest way possible. The data featured using AMP coding is nearly 10 times less than a normal HTML website or app. AMP provides full control to website publishers over the business and visual design of the site. Page load times are reduced by a reasonable extent. Keyword rankings and mobile SEO are enhanced in mobile devices. The page load time observed is 4 times faster as compared to a normal HTML website. 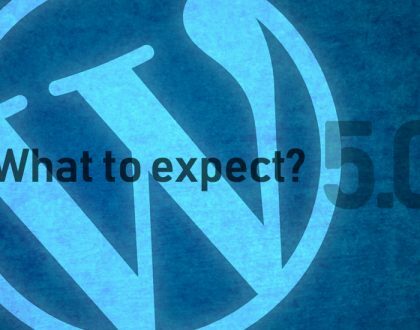 AMP is ideal for static content-based websites, such as news publishers or sites used for blogs. The web pages using valid and top-notch AMP versions have a major edge over normal websites in SEO rankings and mobile searches. They are usually displayed as a preview of the “Top Stories” on the search engine and are easily visible on the front page. Most images are only loaded when you scroll down to them. This is due to the fact that AMP uses lazy loading while dealing with images. AMP is not appropriate for e-commerce sites or websites that aim to gain user interest by impressive visual layouts and presentations. AMP doesn’t allow tracking user activity on its web pages. The main difference between the two can be summarized as AMP focuses on reducing the page load time and providing content to users in a minimum span of time while PWA ensures that users are provided with a rich visual layout and experience through features such as add to home screen button and push notifications etc. AMP is well-suited for static websites with a lot of content involved such as news-publishing, blog/articles, recipes or other similar websites. PWA is the best choice when dealing with e-commerce websites or other similar sites that involve rich visual layouts and features. 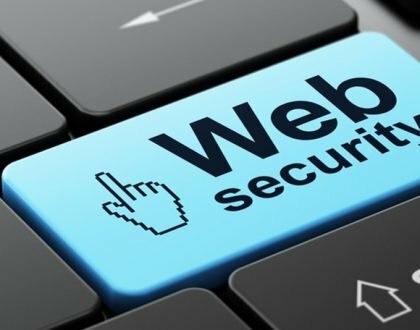 Moreover, PWAs are optimal for “https” sites that tend to provide secure connections between users and sites. Nonetheless, both the technologies work side by side and assist in enhancing user experience and reducing page load time. Conclusion- Which One Is Right for Me? 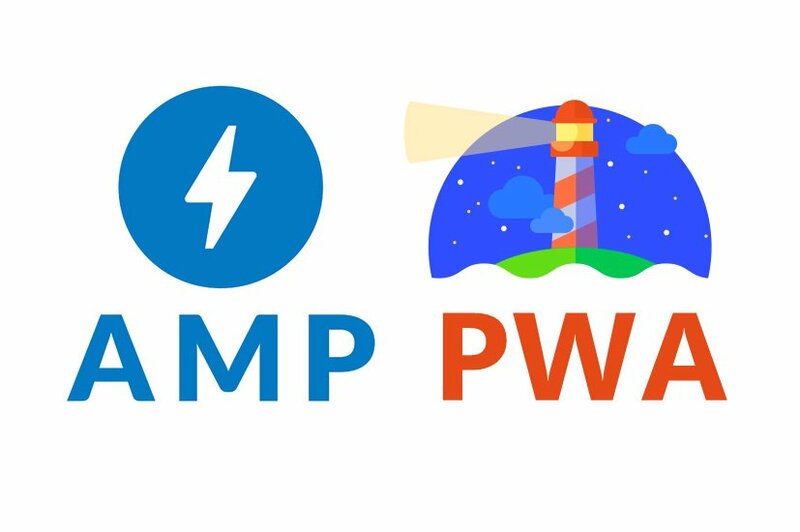 So the main question still hangs in place: How do you evaluate if PWA is the right choice for you or if you should benefit from developing an AMP (Accelerated Mobile Page)? The answer is quite simple.